With a free cruise leaving from the Florida coast, my friend and I decided to fly to Orlando three days early to spend a couple of days at Disney World. 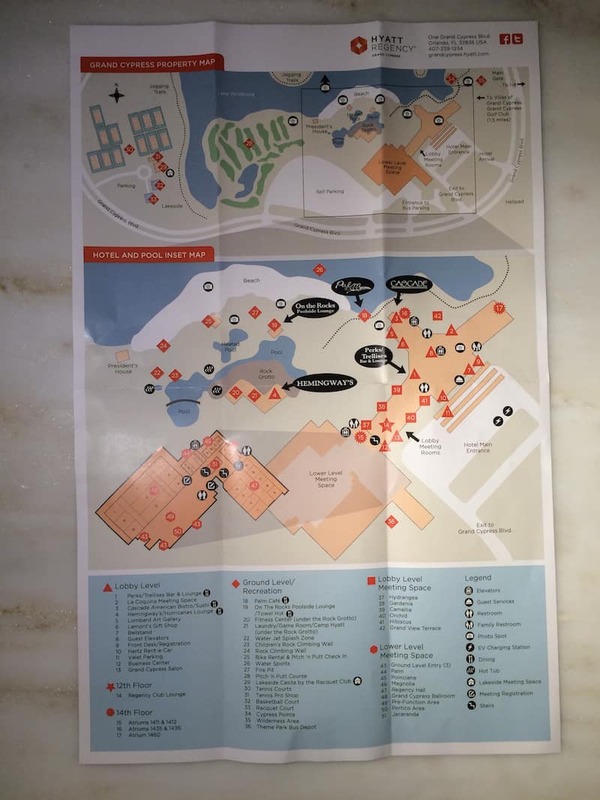 Originally I looked into hotels on Disney property; however with Hyatt Diamond status I decided it would be worth checking out the Hyatt properties. 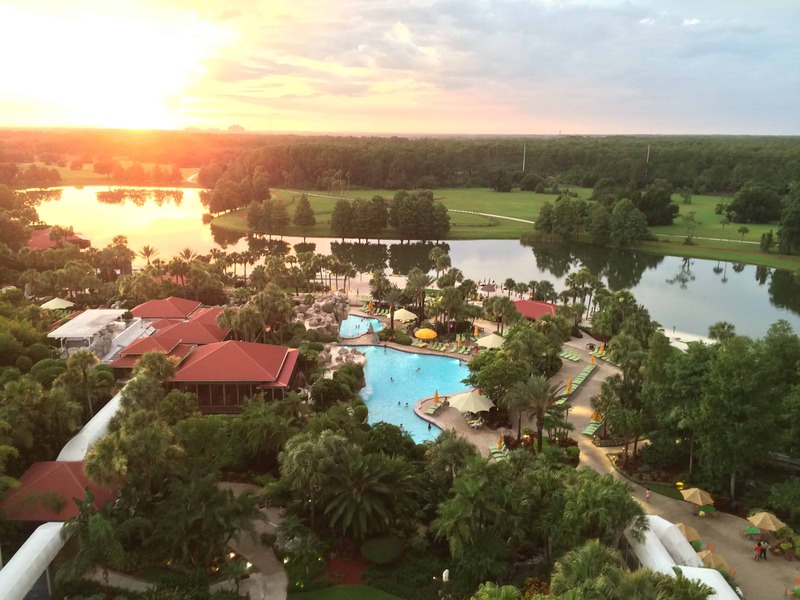 The closest to Disney World is the Hyatt Regency Grand Cypress Orlando. Orlando has seven Hyatt properties. Besides the Hyatt Regency Grand Cypress Orlando, there are two additional Regency properties and four Hyatt Place properties. The Hyatt Regency Grand Cypress Orlando was not only the closest to the parks, but also the most “resort” like. So I booked it (through the Best Rate Guarantee). 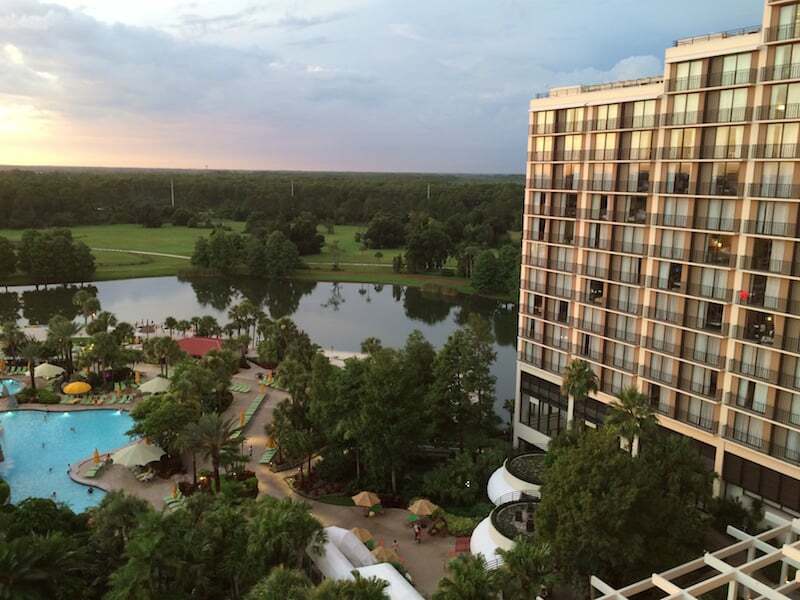 Location: The Hyatt Regency Grand Cypress Orlando sits just outside the eastern edge of the Disney property (which, if you haven’t been to Disney World, you should know is HUGE). It is on a large piece of property — this feels like a resort rather than just a hotel. There is a shuttle that runs to the Disney transportation hub from the hotel in the morning starting at 8:30 and run every two hours. In the evening starting at 6:00 the shuttle returns guests to the hotel every two hours until 11:00pm. The times are limited and the trip takes roughly 25 minutes, although you have to catch another bus/monorail/boat to the various Disney parks. They also have shuttles to Universal Studios and Sea World. Shuttles are included with your stay. 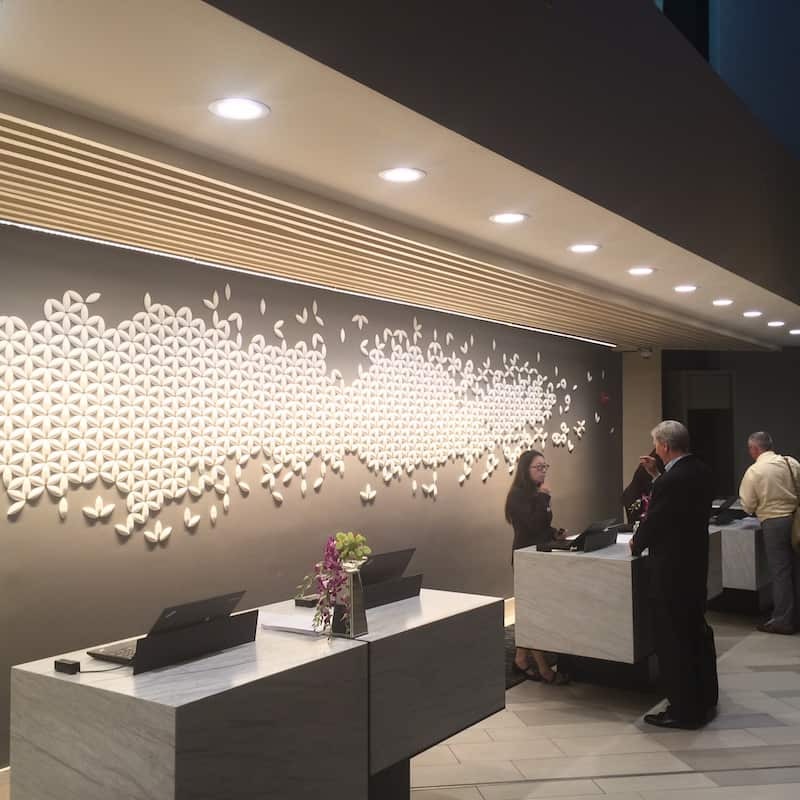 Check In: I checked in around 8:00pm and there were two front desk agents, both helping other guests. No line, so I got in the Diamond line. I was told I would be helped in just a minute. The agent was helpful and offered me a bottle of water. Later she offered me a glass of champaign (I think when she realized I was a Diamond member). She went over the hotel restaurants in great (too much) detail as we just wanted to get to the room. But she did hit all the important pieces of info. There is both self parking ($17/day) and valet ($25/day). This is on top of the $25+tax/day mandatory resort fee. Any hotel with a resort fee loses points in my book. Amenities: The good thing with the resort fee is that this does cover some actual resort activities, unlike many other properties. You can borrow bikes, boats, sports equipment. There are hammocks, fire pits, and a rock climbing wall. The pool area is quite sprawling with a number of hot tubs, a heated and non-heated pool open 24 hours, grotto, and water slide. There is a splash area that spurts water for toddlers and young kids. And of course a standard gym. 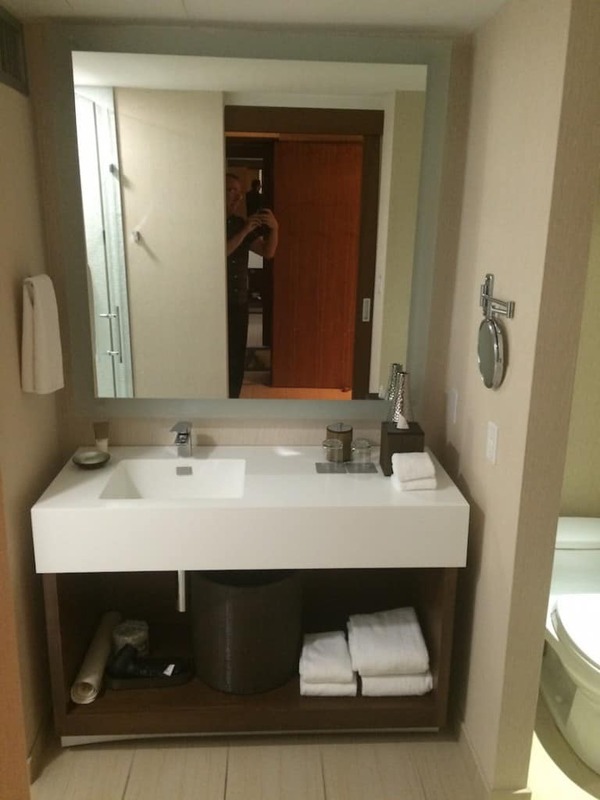 Room: I used a Diamond Suite Upgrade since I was traveling with a friend. 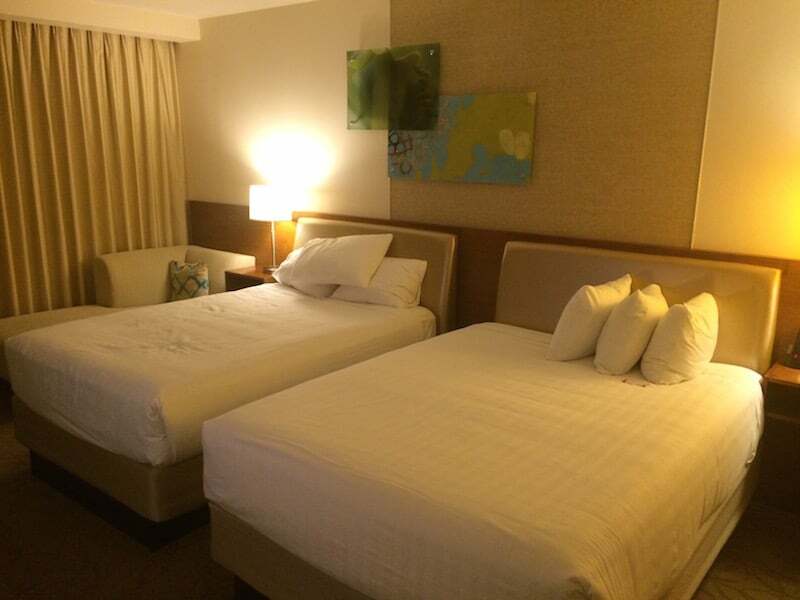 I requested a room with two beds. 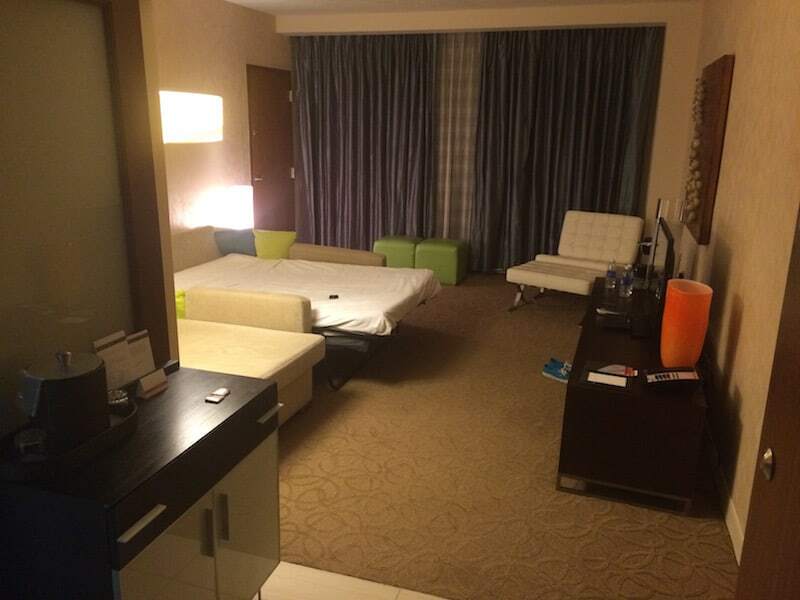 We ended up with an “Executive Suite” on the 9th floor in the west wing with a view of the pool and Disney. It is a standard room with a “lock off” living room and additional bathroom. The couch folds out in to a bed — as my friend and I have different sleeping habits she decided to sleep on the fold out. 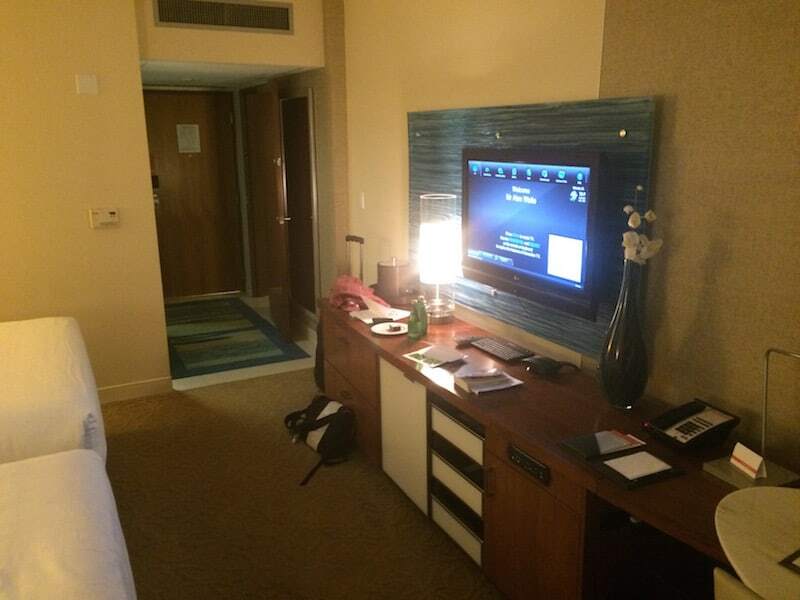 I would say that the room is a pretty standard Hyatt Regency room. It had two beds very close together (one was slightly larger than the other) and a lounger. Desk with chair. TV and mini fridge. Contemporary with some color as I am guessing a lot of people that stay at the property are families. Each room has a small juliet balcony. My biggest complaint about the room is that the curtains do not black out the light. They also don’t fully meet in the middle so you get that nice bright slice of sun first thin in the morning. Another annoyance was the lack of plugs next to one of the beds. 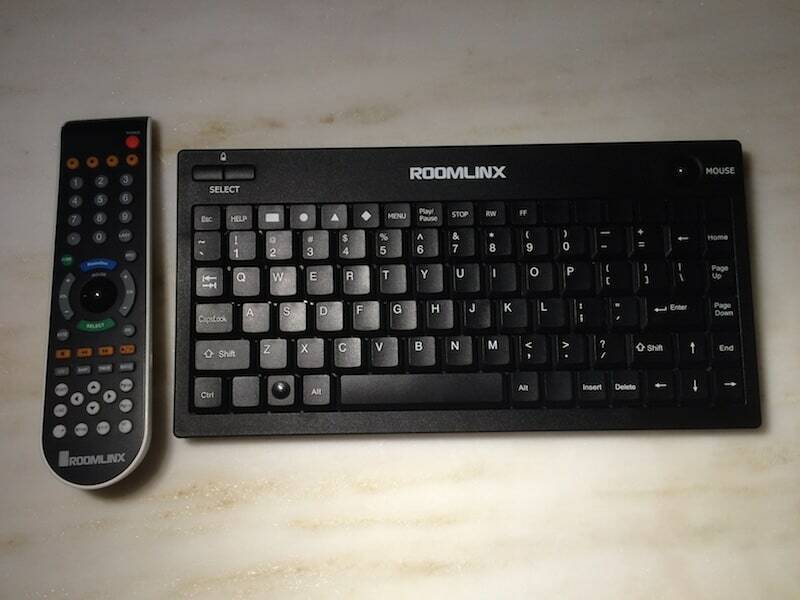 My final complaint is the “fancy” TV remote that uses a track ball to move a cursor to chose the function on the screen. It is almost a hybrid computer. More fiddly than useful. Bathroom: The main room bathroom is large with a full shower/bath combo. Toilet is in a little walled off nook. No shower curtain which I like, but some water did get on the floor. The other bathroom was identical except that it had only a shower (no bath). 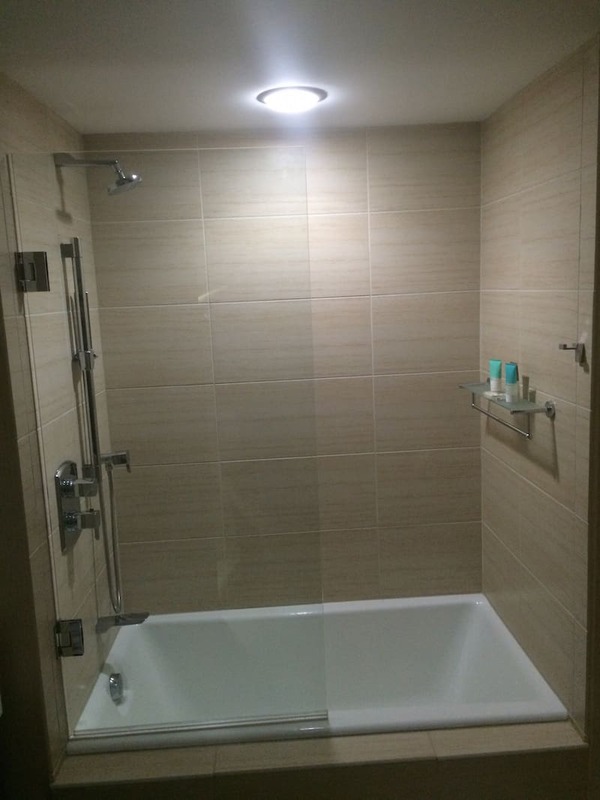 Both showers had a main shower head and a hand wand. Decent water pressure in the shower, not as good at the sink. Plenty of towels. 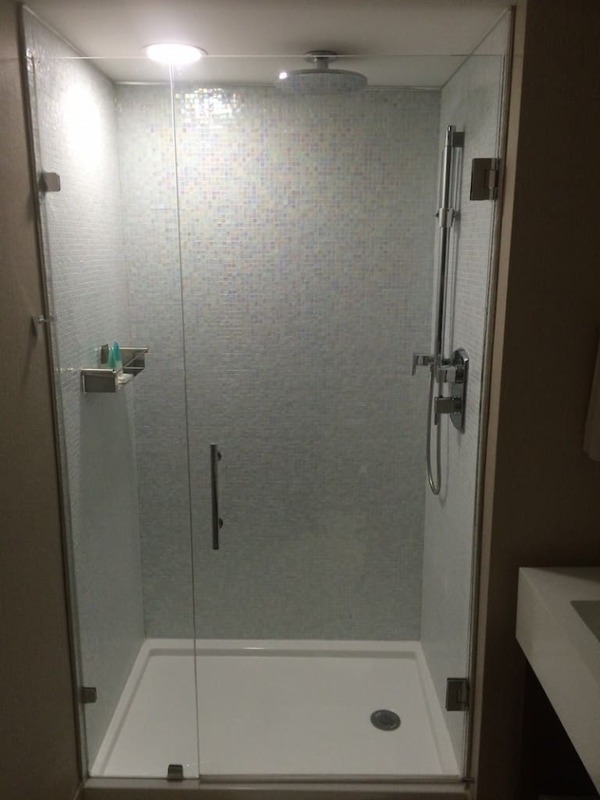 The bathroom door is the new Regency standard of hanging “barn door” slider door with glass panel. This means much less privacy. I’m not much of a fan of this trend. Service: I was quite impressed with the service of the hotel. The maids were quick and did a nice job (although there was some trash from the previous guest on the balcony). When I requested the fold out couch be made up as a bed it was done immediately. The concierge are employed by Expedia but trained by Hyatt and were helpful; printing a document for me for free. The Regency Club Lounge is located on the 12th floor of the west wing, but the elevator is in the east wing, so about as far from the elevator as possible. I ended up taking the fire stairs up the three flights instead of walk to the elevator. It is a nice lounge with a sizable outdoor patio area. Good breakfast with one hot option and the same again for the appetizers in the evening. A fridge stocked with water bottles but nothing else (I always had to ask for sparkling water as that is my drink of choice). There is a soda fountain and coffee machine. Flor, one of the lounge attendants, was my favorite. She was very friendly and remembered I liked Perrier and always brought be two bottles. Overall: Due to the thunderstorms in the evenings (and short stay), we never used the resort amenities. I did try the pool once and I imagine it would be great to lay by during the day (but most people would probably be at the park during this time). If you were traveling with a family I would imagine this would be a great property with so much to do (in addition to the theme parks). I also didn’t try the restaurants so can’t comment on those. 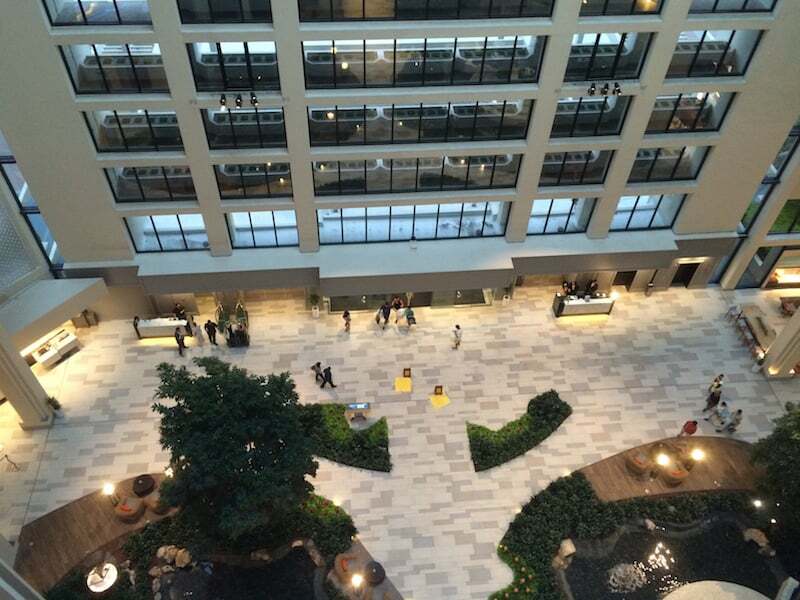 There is a large conference area as well, seems like this would be an idea conference hotel. 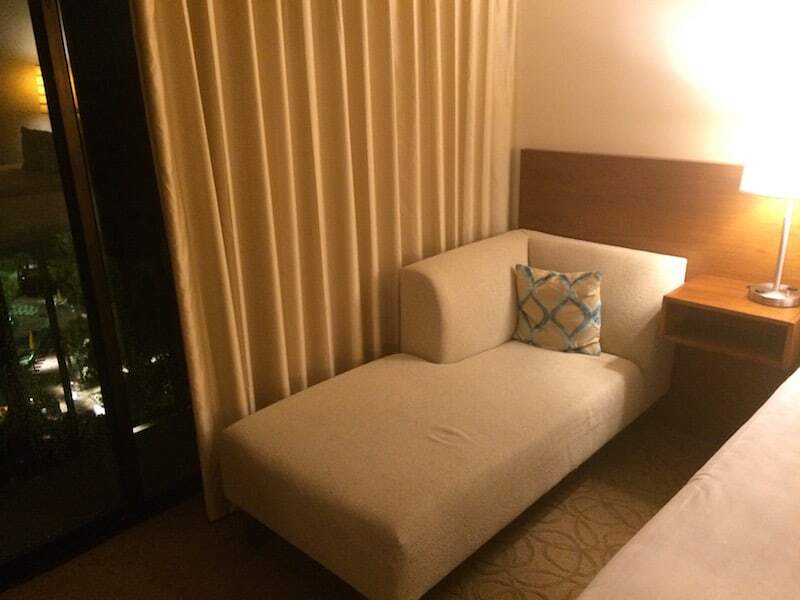 This is definitely a family oriented hotel, and having the fold out couch makes this a good location to use a Diamond Suite Upgrade if you have multiple people. Since this is Single Flyer, I don’t know how I would feel staying here by myself. It would probably be fine, but I would be in the minority. Not the hotel’s fault, just the reality of being next to the world’s biggest theme park. 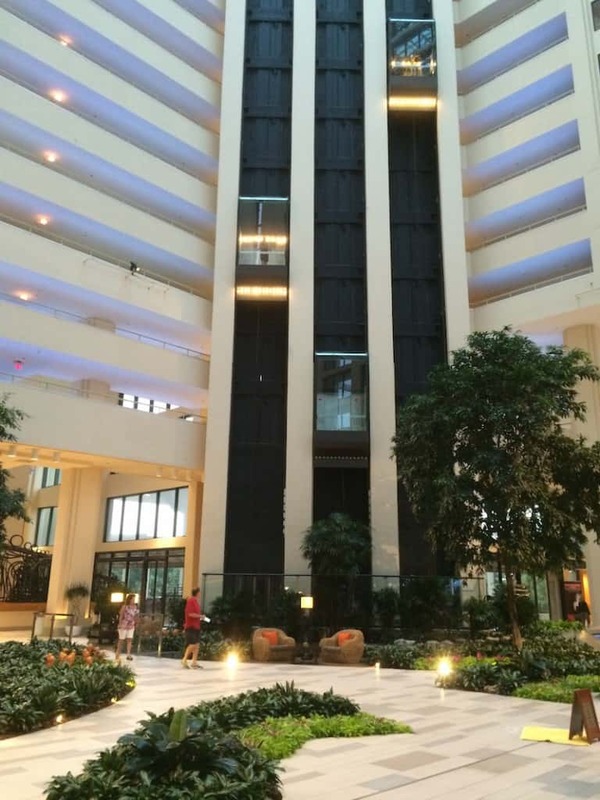 The Hyatt Regency Grand Cypress Orlando is clearly a well run, well maintained, and well staffed property close at the door step of the Magic Kingdom. It has a few things I would change, but I would have no problem returning to this property in the future.